Airwork's Fokker Friendship ZK-PAX off to Christchurch as "Post 51"
Barrier Air's Piper PA31 Chieftain ZK-VIP with thoughtful air conditioning for the passengers while on the taxi... Not so good for the photo. Kiwi Regional ended its services to Queenstown today. The last flights, KRL1 from Dunedin to Queenstown and KRL2 from Queenstown to Dunedin were operated on Monday morning with Saab 340 ZK-KRA arriving back in Dunedin by 9.00am. The future of scheduled flights to and from Kaitaia is looking brighter thanks to a bigger aircraft and lower fares boosting the once beleaguered service - and a subsidy from a ratepayer-owned company. The subsidy from Far North Holdings is paid on the condition Barrier Air keeps flying at least until the end of February. Even if Barrier Air does pull out - which had been a distinct possibility as recently as last month - a rival airline which missed out on the Kaitaia-Auckland route earlier this year, Tauranga-based Sunair, is still keen to have a go. Barrier Air chief executive Michael Foster said the future of the service was looking "a lot brighter". Since November 1 the company had been using a Cessna Caravan, a single-engine turboprop bought in Alaska for the Kaitaia route. It could take up to 12 passengers but cost about the same to run as the eight-seat, twin-engined Piper Chieftain used previously. Passenger numbers would be further boosted next month once the company set up its own fuel supply in Kaitaia. Currently Barrier Air can fill only 10 seats on the flight from Auckland because of the weight of fuel it has to carry for the return trip. Once the Caravan can refuel in Kaitaia it will be able to take 12 each way. A new fare structure - with prices ranging from $99 if booked ahead up to the full $199 - had attracted new passengers with an eye for a good deal, while daylight saving had boosted numbers on the early flights. Barrier Air had also done a deal with Far North Holdings, which was providing financial assistance until the end of December if required. In return the company had guaranteed to keep flying at least until end of February, Mr Foster said. The subsidy was paid out only if the route made a loss. A top-up was needed in October; the route could break even this month and the subsidy was unlikely to be paid out in December when three bottom-line-boosting charters to Kaitaia, each with about 50 passengers, had been booked already. Far North Holdings' help had given the company the confidence to continue, Mr Foster said. "With combination of a revised schedule and a bigger plane things are looking a lot better. Especially now we have the Caravan on the run we can see there's light at the end of the tunnel." The current schedule, with two return flights each weekday with an extra one-way on Monday and Friday, would continue through summer. Some flights could be dropped in winter. Mr Foster said the company had been overly optimistic about passenger numbers when it took over from Air NZ. It was now carrying 23-25 a day and numbers were slowly increasing. It had been a steep learning curve, he said. 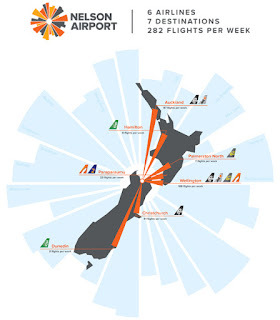 Meanwhile, Tauranga-based Sunair Aviation - one of four airlines that put their hands up to fill the void left by Air NZ's withdrawal - is still keen to take on the route if Barrier Air pulls out. Owner Dan Power said his company came second when Far North Holdings was assessing airlines for preferred operator status on the Kaitaia route. He predicted passengers numbers would drop by half once Air NZ pulled out and the figures so far had borne that out. Despite that, he was convinced Sunair could operate the route in a financially sustainable way. Sunair had proposed two flights a day using a Piper Chieftain or a Piper Aztec with space for nine and five passengers, respectively. "We believe we can do it better in a more economic way," Mr Power said. Sunair had operated scheduled services for 20 years and could put that experience to use in Northland. It currently flies between Tauranga, Hamilton, Rotorua, Gisborne and Napier. Northlanders could be assured they would still have a scheduled air service from Kaitaia if Barrier Air pulled out, he said. Mr Power said he was surprised Far North Holdings was paying a subsidy to Barrier Air to help make the route viable. 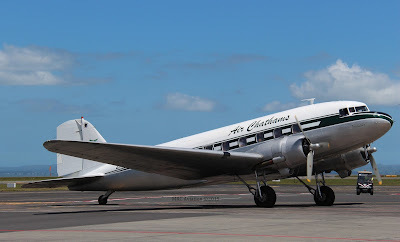 As a follow up to the earlier post on Air Chathams classic Douglas DC3 ZK-AWP receiving a titles refresh, I took the opportunity to catch her arriving back at Auckland from Whakatane as CV805 early on the afternoon of 29 November. She sure looks great pulling up to the domestic terminal at Auckland mixing in with the ATR's, Q300's and Great Barrier commuter fleet. Following on from my Originair flight on 18 November 2015 I caught Kiwi Regional from Nelson to Hamilton. Anyone know where this strip is??? All in all I thought Kiwi Regional were pretty good. The aircraft cabin is not as polished as Originair. The crew were friendly. I think they could be more generous with the coffee and look to something a bit better than the chocolate chippies. For all that people seemed very happy with the flight. It will be chocks away for Jetstar services through Hawke's Bay from next Tuesday when the inaugural flight JQ350 takes off for Auckland. Among those aboard the 50-seater Q300 will be Associate Minister of Transport and Minister for Small Business, Craig Foss. After Jetstar announced on August 31 it would be including Napier on its new regional schedule with flights to Auckland Mr Foss described it as "a real vote of confidence in our region". He said both businesses and families would benefit as the airline, which is engaged in competition with Air New Zealand, had brought in lower airfares. Hawke's Bay Tourism general manager Annie Dundas said the decision was "huge news" for the region. "It's a complete game-changer for tourism growth opportunities - competitive airfares are good for domestic tourism but this will also open up international connections to Australia too." Napier Mayor Bill Dalton said the regional teams who pushed for the service had clearly shown that the Bay was a region on the up, and with plenty of potential. Hastings Mayor Lawrence Yule described it as a long-awaited prize. "It is very exciting that we have landed a huge player." 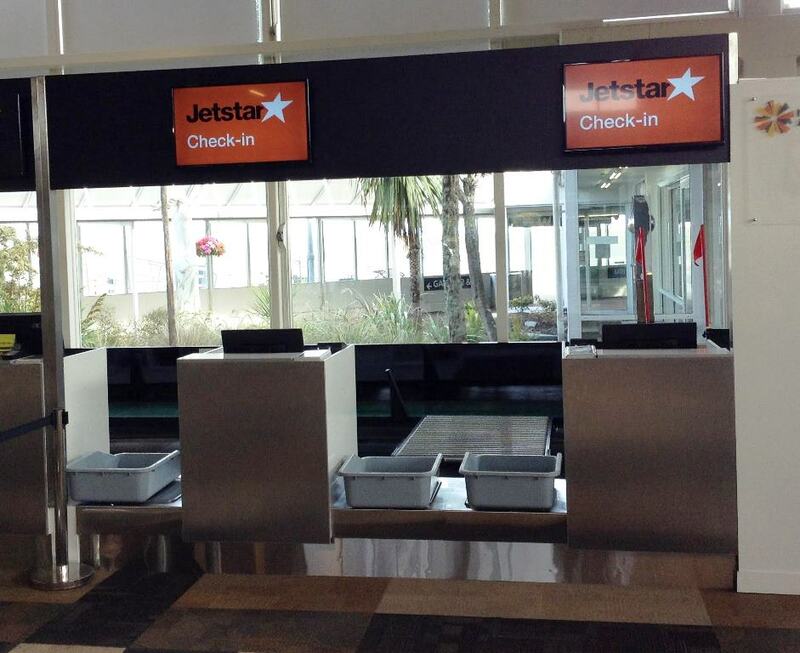 Since Jetstar announced the new Napier-Auckland service bookings had been strong for the three daily flights. The service is planned to expand to four return services a day from February 1. The Jetstar colours however have already been spotted at Hawke's Bay Airport. "Yes, sharp-eyed people will have seen it there on Tuesday," the airline's communications manager Phil Boeyen said. "We have been doing trial flights this week which is a standard part of our preparations and it has all gone very well." 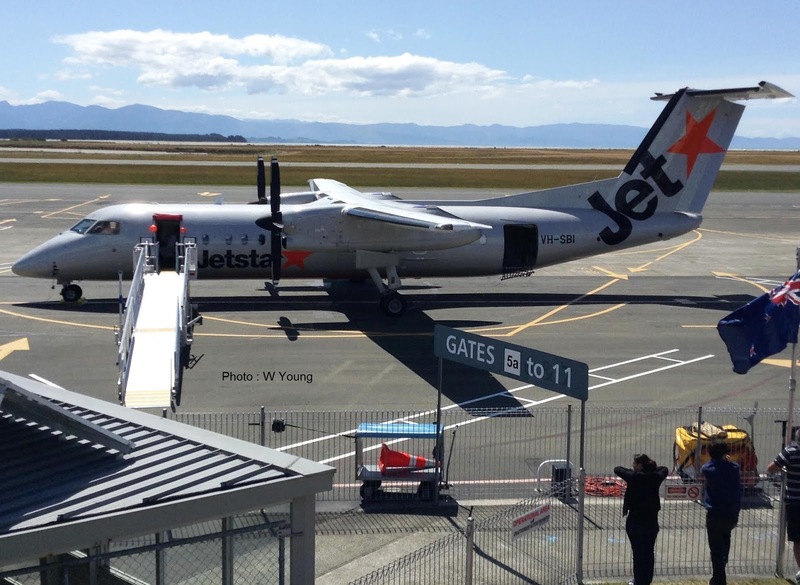 The introduction of Jetstar now mean three airlines are serving the region, with Sounds Air kicking off is services to Blenheim earlier this month. Next Tuesday, to celebrate the start of the new Auckland link, there will be an official function in the main terminal from 7.30am, with flight JQ350 scheduled to take off at 9am. An official welcome featuring a spectacular water arch will be staged upon arrival at Auckland Airport at 10am. After canning its Queenstown service Kiwi Regional Airlines is now tossing up flights to Napier or Tauranga. Kiwi Regional Airlines chief executive Ewan Wilson said it would announce a new destination in its network in early December with flights due to begin in late February. The most logical destinations were Nelson to Napier or Nelson to Tauranga, he said. "We're looking seriously at both of them," Wilson said. On Wednesday the airline announced it was cancelling its twice weekly return service from Dunedin to Queenstown less than one month after launching. The Hamilton-based airline also flies between Hamilton, Nelson and Dunedin. The new destination would be serviced by no fewer than two flights per week, he said. Nelson to Dunedin return flights would increase from four flights per week to five, he said. Kiwi Regional Airlines flies a 34-seat SAAB 340A aircraft and aimed to take delivery of a second aircraft by October next year, Wilson said. Napier mayor Bill Dalton said Sounds Air already flew Napier to Blenheim, an hour and a half drive from Nelson, and was "struggling for numbers." But he welcomed the prospect of another airline servicing the region. "We would welcome any competition in the Hawke's Bay skies," Dalton said. People travelled between Nelson and Napier for both business and to visit friends and families but it was expensive because they had to fly via Wellington on Air New Zealand, he said. "There's no competition on that route so it's always been a very expensive operation." 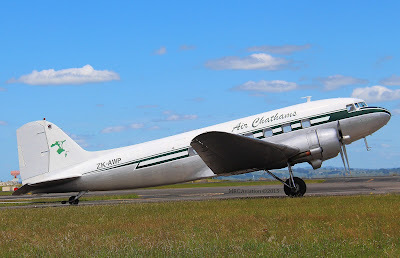 Sounds Air director Andrew Crawford said its Napier to Blenheim flights were launched on November 5 to connect Marlborough and Hawke's Bay wine regions. Crawford said numbers on the route were fine. "New routes take time but I'm very happy with it," Crawford said. The route was serviced by six return flights per week using a nine seater Pilatus PC12. Tauranga mayor Stuart Crosby said Tauranga to Nelson flights could provide an opportunity to use Nelson as a hub for other destinations in the South Island. Tourists and people visiting friends and family would be the main traffic between the two centres, he said. Air New Zealand flies to Tauranga from Auckland, Wellington and Christchurch. Have any of you yet acquired, and read, a copy of Norm SANSON´s recently published book .... "A DEVIATION FROM THE NORM - A PILOTS STORY" ? Norm SANSON was Chief Pilot at SEA BEA AIR throughout the 1980´s. He joined MOUNT COOK AIRLINES during ther early 1970´s .... and flew both the WIDGEON and GOOSE fort 17 years (he an I actually flew a lot together during the mid to late 1980´s when SEA BEE AIR was at its peak and I became a member of the "Mechanics Bay Social Club") .... and including their operations within the Pacific based from Tuvalu. This autobiography covers his entire aviation career .... from his being being influenced towards, and entry to professional aviation ... in NZ .... and in Australia .... flying predominantly marine aircraft types all his career .... and prior to moving on to Vanuatu, India, and New Guinea and a contract pilot .... flying DHC6, DHC8, and ATR 72 aircraft after a brief stint of ferry-flying from NZ also .... as related within pages of endlessly hilarious anecdotes as only Norm (in the minds of those whom know him personally) could ever relate. A strongly recommended and enjoyable read .... IMHO .... in fact I couldn't put this book down with the first 60-70 pages of my reading it. One month after commencing flights between Dunedin and Queenstown, Kiwi Regional Airlines has announced it will be ceasing these services, with the last flight on 30th November 2015. Kiwi's CEO, Ewan Wilson, said "the services to Queenstown have been extremely challenging for our company, with a combination of several weather-related cancellations and low passenger bookings making it unsustainable for this service to continue. This is in marked contrast to our services between Dunedin, Nelson and Hamilton, which have all exceeded expectations for the first month of operation, leading us to look at new regions for expansion into in the future, such as Hawkes Bay, Bay of Plenty and Taranaki. Like most private companies in New Zealand, Kiwi operates without any Government or overseas backing, and cannot afford to subsidise operations that are not financially viable. We made a commercial decision to end the scheduled Queenstown flights before they affected the performance of our whole company, but we have left it open to return to the city at a future date, for charters or potential alternative scheduled services. All passengers who have booked on Queenstown flights after 30th November will be offered full refunds or other alternative arrangements by Kiwi, and are being contacted this week. Staff and contractors affected by this decision have already been contacted by company management." Thanks to Warwick and Peter for sending through these pics of Jetstar's Bombardier Q300 VH-SBI which was at Nelson today, 24 November 2015, on a familiarisation flight. Jetstar... soon to be Nelson's sixth airline flying to Auckland and Wellington. The counters are ready and are just waiting for the aeroplanes... the first of which will fly to Nelson on a familiarisation flight today. Thanks for the photo Warwick!